Durham, North Carolina is on an upward trajectory of growth, expansion, industry, and total population. Having established itself as a hub for the convergence of education, technology, and entrepreneurship, it still manages to maintain its small-town feel. With individual, unique neighborhoods and a culture and vibe all its own, Durham’s over 250,000 residents are as proud of their growth as they are of their quaint, tight-knit community. The residents in Durham have typically been highly engaged in the events, activities, and political discussions that regularly take place in their community. Still, with a desire to grow their engagement along with their population size, the municipal leadership in Durham desired to evolve their civic website to serve as a tool that would allow them to offer more self-service functionality. By offering more online services, the leaders at Durham hoped to engage residents even further. With a large-scale website redesign project in front of them that would impact a significant number of departments and stakeholders, the Durham project leaders realized that they needed to align themselves with experts in local government website design who could guide them through the strategic planning process. They began with an internal needs assessment that would inform the criteria of a formal request for proposal (RFP). According to Stinson, CivicPlus’ experience and focus on local government website design was a key deciding factor in the selection process. Ready to leverage CivicPlus’ CivicAdvise consulting services to learn best practices and benefit from the experience of experts in local government website design, Durham began their implementation process collaborating with CivicPlus’ expert consultants. When it came time to begin the strategic planning process, under the direction of their CivicAdvise consultants, the leaders at Durham decided to formulate a small, strategic implementation team comprised of key stakeholders from across the administration. According to Stinson, reducing the total number of stakeholders involved helped the planning team to move quickly while still making decisions that took into consideration the needs of every department. Ferrell agreed that the consulting team, led by CivicAdvise, was effective in working collaboratively. The leadership team at Durham knew that there were key features lacking in their existing civic website when they began planning sessions with CivicPlus’ consultants. According to Stinson, the process of reviewing website traffic data was insightful and incredibly valuable in helping the team prioritize content and determine a website structure. According to Stinson, the data analysis process was also essential to establishing the layout of Durham’s homepage. According to Stinson, the new website redesign has been well-received by residents. Durham, North Carolina’s new CivicEngage website has already delivered on the goal of enabling greater resident self-service and offering valuable functionality. According to Stinson, residents now have access to helpful online tools and resources. Stinson also pointed out that the implementation of a mobile responsive website has proven to help Durham accomplish its accessibility goals. “Just having responsive design and providing a good experience on mobile has led to increased traffic,” he said. Looking back on their successful implementation, for Ferrell, one of the most valuable aspects of working with the CivicAdvise consulting team was the collaborative atmosphere. For Stinson, one of the most valuable aspects of working with CivicPlus was knowing that they were being guided by industry experts. 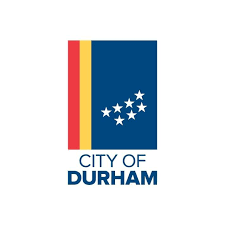 Not only were residents pleased by the results of the new website, so were leaders and stakeholders at the City of Durham. Stinson also points to the training that the team at Durham received from CivicPlus as a key component in the implementation process. “After receiving consulting services from CivicAdvise and launching our CivicEngage website, we have seen increased traffic to our different department pages, which was definitely an important goal that we wanted to accomplish. When asked about future improvements to Durham’s ever-evolving digital presence, Stinson and Ferrell continue to make plans to further enhance the resident experience with their civic website. Click here to learn more about CivicEngage consulting services, and learn how our experts can help to guide your website redesign project.